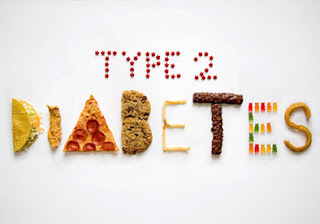 The following information is about type 2 diabetes and describes how prevalent the problems is, who should get screened for the disease, and what you can do to prevent or treat it. 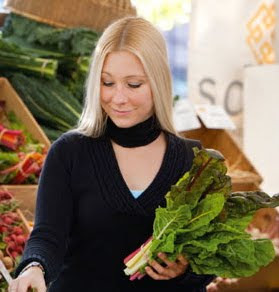 The healthy lifestyle changes described here are healthy for everyone, not just those with or at risk of diabetes. Lifestyle changes can help those with diabetes cut down their need for many medications and are always a good idea unless you’ve been specifically told by a doctor not to make them. What IS diabetes: Diabetes refers to a group of diseases that cause your body to mishandle your blood sugar, resulting in high blood sugar. If left untreated, or not properly treated, high blood sugars can damage nearly all of the organs in your body. The good news is that diabetes is treatable with a combination of lifestyle changes and other treatments prescribed by your doctor. For some people diagnosed with diabetes early on, the disease can even be reversed with the lifestyle changes described below! If you have excessive thirst, frequent urination, blurry vision, extreme hunger or unexplained weight loss. For most people, all that is required is a simple blood test—you don’t even have to be fasting. The lifestyle changes recommended to treat diabetes and prevent complications are the same healthy lifestyle recommendations for everyone. Enlist those you care about to make healthy lifestyle changes with you—everyone wins! o Make ¼ of your plate healthy proteins including beans, fish, nuts, or poultry. o Drink water, coffee, or tea; skip sugary drinks; limit dairy to 1-2 servings per day. This means that a tape measure around your waist, at the top of your hip bones, across your belly button measures less than 40 inches for men, or 35 inches for women. Alternatively, you can measure your height and weight, then input that information into this online body mass index calculator http://www.nhlbi.nih.gov/health/educational/lose_wt/BMI/bmicalc.htm . A healthy body mass index is 18.5-24.9. Minimum exercise recommendations are as follows, but you get more benefit by doing even more! Go to http://www.cdc.gov/physicalactivity/basics/adults/ for more details. If you smoke or use tobacco ask your doctor, go to www.smokefree.gov, or call 1-800-QUIT-NOW for help quitting. If you do drink, women should drink no more than 1, and men should drink no more than 2, standard-sized drinks per day (one 12 oz. can of beer, 5 oz. glass of wine, or 1.5 oz. “shot” of spirits). 1. C Li, et al. Surveillance of certain health behaviors and conditions among states and selected local areas—Behavioral Risk Factor Surveillance System, United States, 2009. Centers for Disease Control. Surveill Summ. 2011 Aug;60(9):1-250. 2. Centers for Disease Control and Prevention. National Diabetes Statistics Report: Estimates of Diabetes and Its Burden in the United States, 2014. Atlanta, GA: U.S. Department of Health and Human Services; 2014.